WE ACT staff and members before their trip to Albany to advocate on behalf of NYCHA residents. 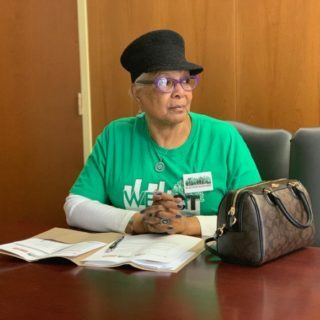 And the creation of legally binding structures that ensure resident oversight and the transparent use of funding by enabling NYCHA residents to have an active role in deciding where the money goes before funds are released. WE ACT member and NYCHA Dyckman Houses resident John E. Thompson meeting with New York State elected officials. 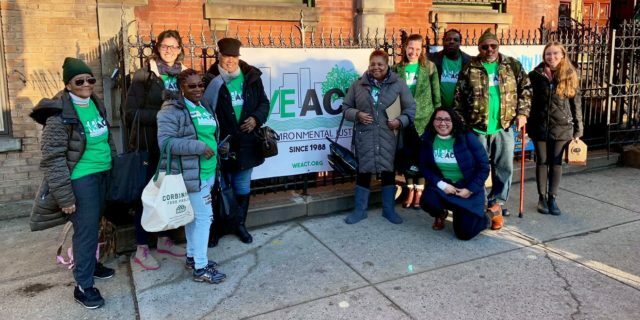 WE ACT’s Bilingual Community Organizer and Outreach Coordinator Génesis Abreu and Environmental Health Programs Manager Milagros de Hoz have been following up with the elected officials and will debrief the Healthy Homes Working Group at the next meeting. 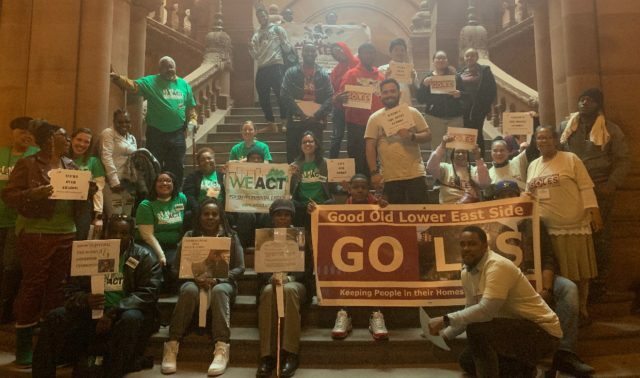 The NYCHA Land and Healthy Homes Coalition on the steps of the New York State Capitol building in Albany after a day of Advocacy.